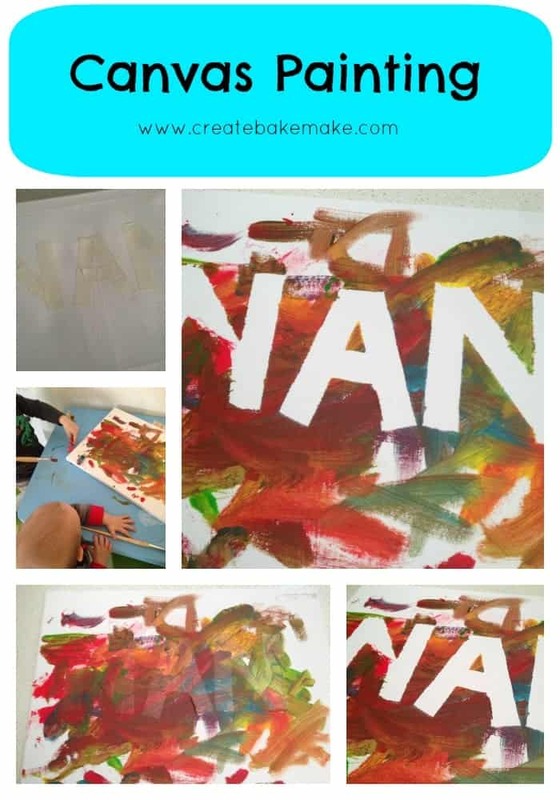 Use the masking tape to create a word, letter or design to feature on your canvas. Make sure the tape is firmly stuck down. Then it’s time to have fun with paint! Once your little ones have exhausted their creativity (or start painting the wall like mine did), set the canvas aside as you now need to wait for the paint to completely dry before you remove the masking tape. 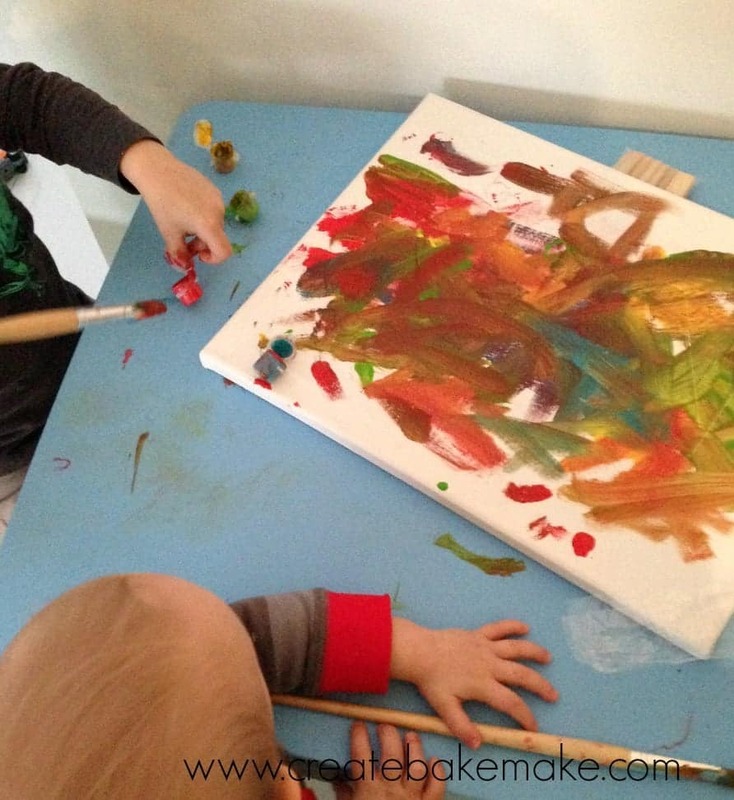 Once your paint is completely dry, carefully remove the masking tape to reveal your design. 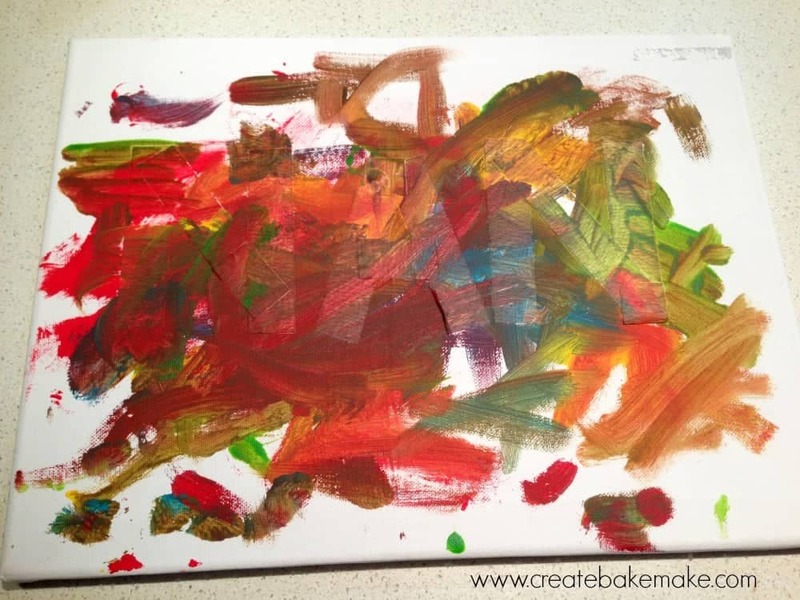 In theory, you will have sharp straight lines, my little duo were just a bit too enthusiastic and lifted the edges of the masking tape while they were creating – it’s certainly an original! And your done, that is all there is to it! 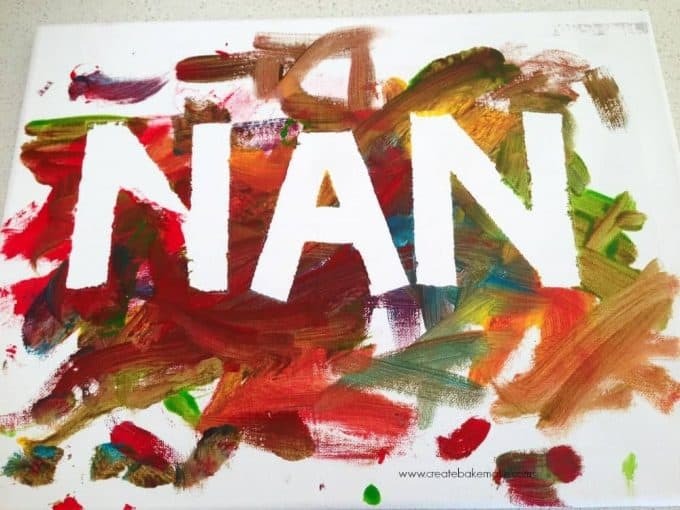 I must confess I am VERY slack when it comes to sending birthday presents/cards on time but thanks to Express Post, the boys artwork arrived the day of their Nan’s birthday – phew! « Our Week – Keeping it real.